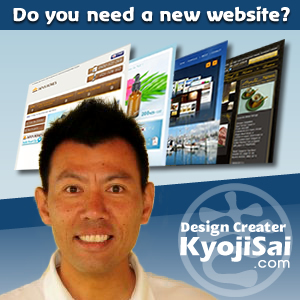 Where is Takamatsu? 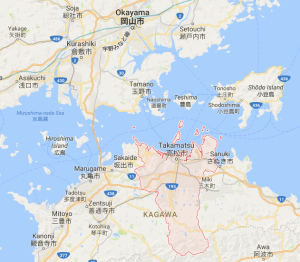 It is the capital city of Kagawa prefecture, the north eastern part of Shikoku Inland, which is situated in the south of Honshu (main land) across Seto Inland Sea. There are different routes to get there, but my husband and I took a train from Okayama, crossing the bridges between islands as stepping stones across the sea. The ride was pleasant, looking at the sea and dotted islands. 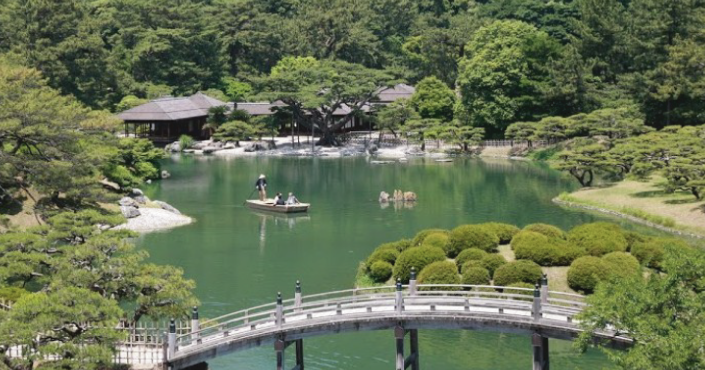 Ritsurin garden is in the central town and a must-see for Japanese garden lovers. Built and developed by feudal lords since the 16th century, it is made for walking around through hills and ponds, and resting at scenic points and the garden teahouse. 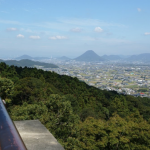 A fifteen to twenty minute train ride takes you to Kotohira shrine, fondly nicknamed Kompira-san, 35 km southwest of Takamatsu city. 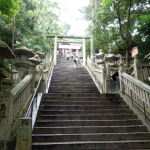 This historical shrine revered for more than a millennium is notorious for its hundreds of steps to reach the main building on the hill. My mother had told me the sad story that her oldest sister with heart disease died of heart attack in her early twenties after climbing the steps. My husband and I did not struggle to get to the top though, as there are so many shops on both sides and we took time visiting them. Along with typical souvenir shops selling sweets and T-shirts, there are some specialized in wood carving. We also visited a museum displaying historical items and modern art works. Once at the top, you have a great view of the whole area. 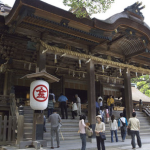 The god of this shrine is the protector of sea farers, and there is a well-known song about ships cruising.